How to Concatenate Unique ID with Another Field on Dropbox? 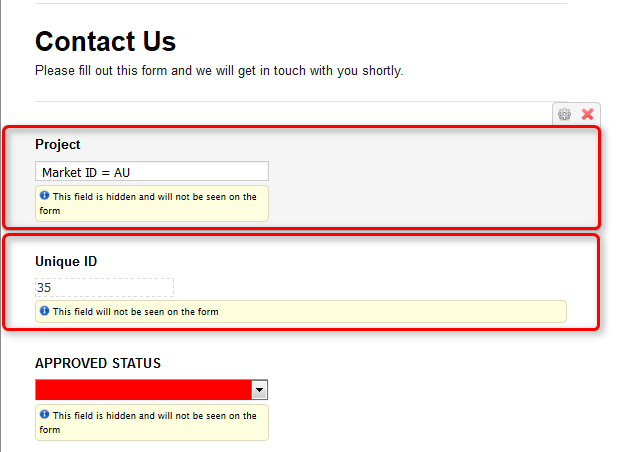 I would like to concatenate my unique id field with another field but when I go to the conditions widget to do this, it won't show the unique id field as an option to use. Is there a workaround? The second part of this is that new field will then be integrated into unique folders in Dropbox. That's my end goal. At a minimum, I'd like to have Field 1 for Dropbox but can't select that either. You can't really add a postfix, but you can add a prefix. You just need to click the Prefix button on the top tool bar and enter the name of the field you would like to add as a prefix, all in brackets. I think my question wasn't clear. I understand how to do the unique id. What I want to do is concatenate in dropbox i can have unique names for each folder. Ideally it would be field1_field2_field3. It won't let me pull the Unique Id widget when I get into the calculation widget. If that is not possible, can I just use the Unique ID widget when using dropbox integration. It won't let me select that particular one. 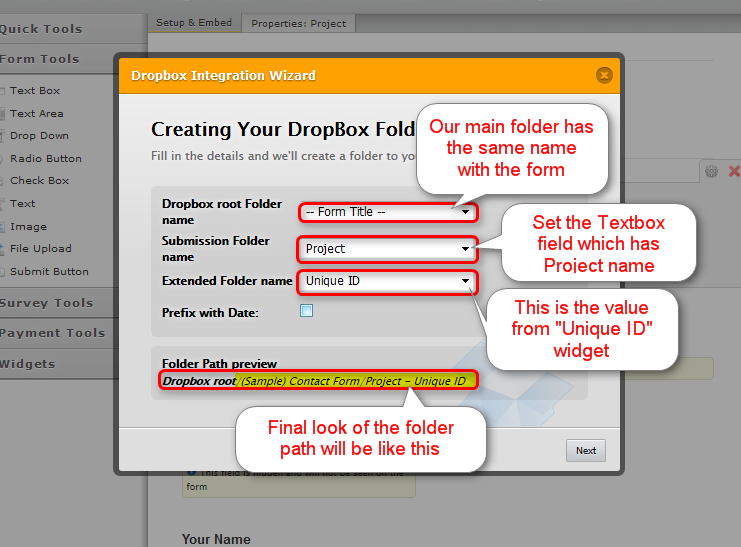 You achieve the similar scenario with using "Textbox" field, "Unique ID" widget and "Dropbox" integration itself. You need to set one "Textbox" field with the predefined value e.g. " Market ID = AU". Also, you can hide that field, if don't want to let the users see. Secondly, set a "Unique ID" widget which you have already put. I hope this solution will meet your needs. If you need further assistance, please don't hesitate to contact us.